The stars of this IMAX film are graceful and extraordinary creatures, wild dolphins in the crystal-clear, turquoise waters off the coast of the Bahamas. With the large cameras, this involves an underwater journey with the unruly creatures, accompanied by the music of Sting. 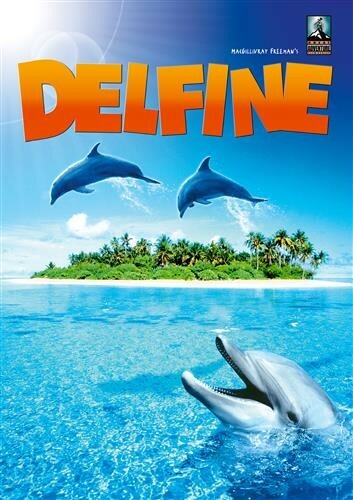 "Dolphins" explores the bonding of these animals to people, and allows the audience to participate in the impressive relationship between JoJo, a rare, solitary Dolphin off the Turks and Caicos Islands, and his friend, the naturalist Dean Bernal. Dean and JoJo have saved more than one life together, and their story will touch viewers with its poetry and with the secret understanding shared between the two different beings.